Wicked Business is a laugh-a-minute, rollercoaster ride. PART of Janet Evanovich's new Lizzy and Diesel series, Wicked Business is a laugh-a-minute, rollercoaster ride. With supernatural powers, pastry chef Lizzy and her unnaturally talented partner in all things magical Diesel, have been entrusted with protecting the world from evil. When Harvard University English Professor Gilbert Reddy is mysteriously murdered and thrown off his fourth-floor balcony, Lizzy and Diesel take up his 20-year quest for the Luxuria stone, an ancient relic believed to be infused with the power of lust. Following the cryptic clues Lizzy and Diesel leave behind them a trail of robbed graves and ransacked mansions. But Lizzy and Diesel aren't the only ones on the trail of the Luxuria stone - Diesel's black-sheep cousin, Wolf, is also chasing it. I honestly didn't know how much I would enjoy Wicked Business. I thought it would be yet another supernaturally influenced novel in this over-supplied genre. 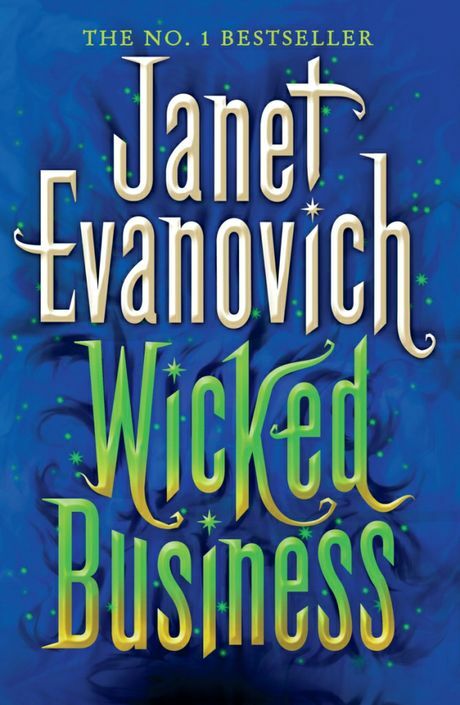 But in true Evanovich-style, Wicked Business is clever, funny and a truly enjoyable book. I can't wait to read more books in this promising new series.